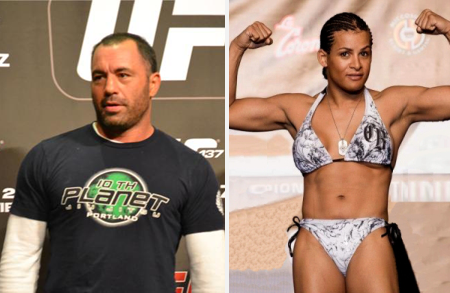 Joe Rogan, the voice of the UFC, has taken his stand against letting transgendered MMA fighter Fallon Fox fight women. “She calls herself a woman, but I tend to disagree,” Rogan said during his podcast, TMZ reported. He then continued with his explicit language, saying that once she was born a male, her body structure would forever be a male’s. Fox was born a male, making her the first transgendered martial arts athlete, CBC Canada noted. She had been struggling to keep her identity hidden until now, and despite Rogan’s stance, said that she believes she should be allowed to fight women in the ring.